Four A29 Super Tucanos arrived at Hamid Karzai Airport - Afghanistan. I totally love these birds. "The Afghan National Security Forces (ANSF) will receive 10,000 Ak-47 assault rifles from Russia on Wednesday as part of Moscow's efforts to equip and bolster the capabilities of the Afghan troops. The Afghan National Security Adviser Mohammad Hanif Atmar and officials from the Embassy of the Russian Federation are also expected to attend the ceremony. The delivery of the assault rifles is part of Russia's support to bolster the capabilities of the Afghan cops to fight the menace of terrorism. Russian President's special envoy for Afghanistan, Zamir Kabulov said late in December last year "Russia has been consistently pursuing the policy of providing comprehensive assistance to Afghanistan in the establishment of a peaceful, independent, stable and self-sufficient state, free from terrorism and drugs." The Afghan government has stepped up efforts to attract the regional as well as global support to equip the Afghan national security forces." For the first time since the end of the Soviet occupation of Afghanistan, the AAF has engaged in live combat using modern-day fixed-wing combat aircraft. In April, the Afghan Air Force (AAF) reached a major milestone in its development. For the first time since the end of the Soviet occupation of Afghanistan, the AAF has engaged in live combat using modern-day fixed-wing combat aircraft. At the core of its revived fixed-wing fighter fleet is the Embraer / Sierra Nevada A-29 Super Tucano. The A-29 is a close variant of the Embraer EMB-314, a lightweight turboprop aircraft designed for basic fighter training, close air support (CAS), and intelligence, surveillance and reconnaissance (ISR). As part of the Light Air Support (LAS) program, envisaged to provide the U.S. and a number of its allies with dedicated counterinsurgency (COIN) combat aircraft, the AAF was slotted to receive 20 A-29s. The first four A-29s were delivered in January of this year, with another four joining the AAF in March. It is evident that the AAF’s revival is being anchored on COIN and CAS. As far as its leading patron – the U.S. – is concerned, neutralizing armed non-state actors (that threaten Kabul) is the AAF’s mission at this time. In the lead-up to the A-29 Super Tucano, the AAF inducted MD-530 lightweight utility helicopters and Mi-24/35 air assault helicopters. With its 1550kg payload (spread across five hard-points), the A-29 Super Tucano is pitched as a COIN and CAS aircraft capable of deploying precision-guided munitions, such as laser-guided missiles as well as laser and INS/GPS-guided bombs. In effect, the A-29 should be capable of engaging moving ground targets as well as fortified fixed positions. The ‘payoff’ of using an A-29 over say a multi-role fighter jet such as the F-16 is the A-29’s substantially lower operational cost. By using a less demanding turboprop powerplant, the A-29 is viewed as having a substantially lower per-hour flight cost than the F-16 or another comparable fast jet. While one may debate the cost-benefit value of these platforms, it is difficult to deny one of the most glaring truths of today’s COIN environment – the minimal anti-air warfare (AAW) threat posed by most of today’s non-state actors. A multi-role fast jet capable of flying at high-altitude would have considerable cushion against low-altitude AAW methods, such as man-portable air defence systems (MANPADS). But we have yet to see dedicated COIN platforms such as the A-29 take on such high-risk environments, especially against MANPADS that could potentially make use of modern imaging infrared (IIR) seekers (which boast considerable protection against electronic countermeasures or ECM). On the other hand, this fact does not discard or undermine the potential cost-savings of using an A-29-like platform in a low AAW-threat environment; if one’s reality is of low AAW threats, why not use the cheapest platform capable of fulfilling the task? 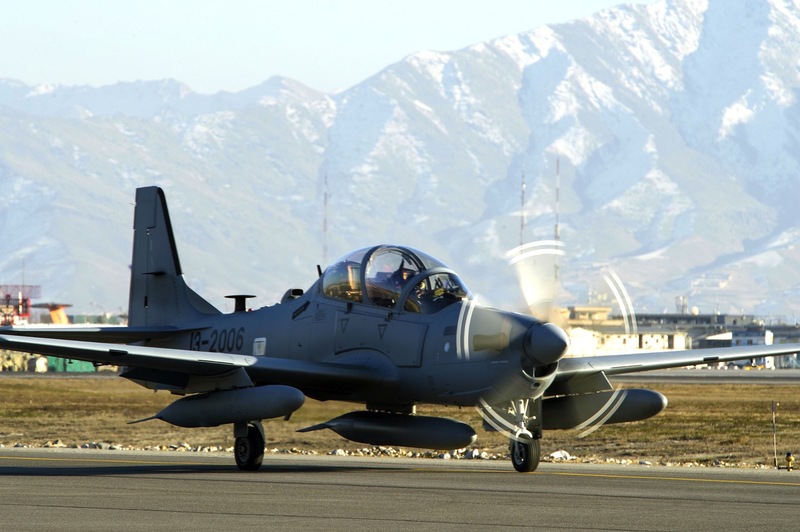 The A-29s are being provided to the AAF on Washington’s dollar, so the move to equip the AAF in this manner (around COIN-specific platforms) could be seen as intentional – to weaken the insurgent drive in Afghanistan. Harmonization (with the platform, CAS tactics, etc.) aside, it will be important to see if the AAF manages to dampen the momentum of non-state actors with the Super Tucano. Afghan Army - Western style..
As reported on August 15, 2017 on the page in www.facebook.com NATO operations "Resolute Support" in Afghanistan, works on repair, modification, preparation and testing of the first American multipurpose helicopter Sikorsky UH-60A + Black Hawk, intended for the transfer of the Air Force Afghanistan. The transfer should be made at the end of September, together with three other helicopters of the same type, the work on which is being completed. Four transferred helicopters will be used to train Afghan personnel for this type. The air campaign against the Taliban was bolstered with the arrival of a squadron of A-10C Thunderbolt II ground attack aircraft in Kandahar. As reported on October 16, 2018 by Unitech Composites - a division of the American company Unitech Aerospace, which manufactures aircraft components - she received a contract from the US Army to manufacture and supply three sets of Lightweight Armament Support Structure (LASS) whole-composite pylons for hanging arms to equip three Sikorsky UH multi-purpose helicopters -60A + Black Hawk, intended for delivery by the US government to the Afghan Air Force. 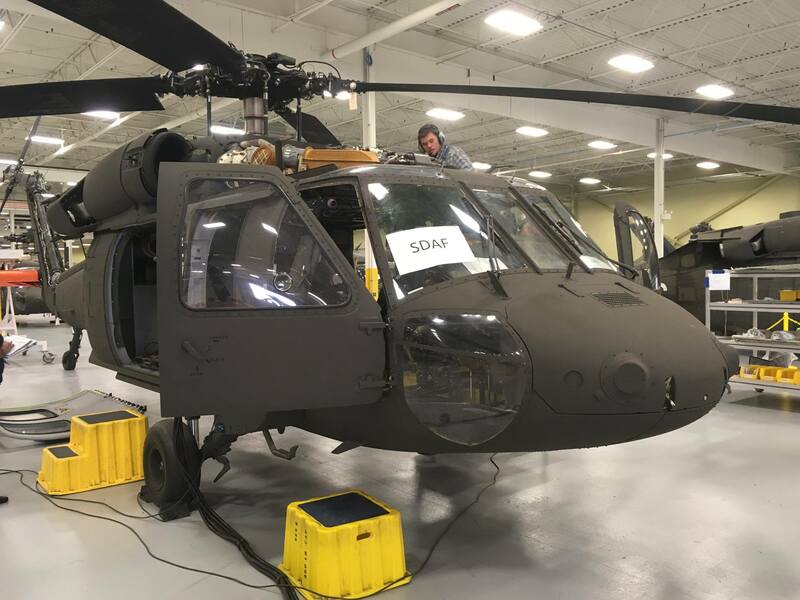 The LASS kits under this contract should be delivered in the fourth quarter of 2018, and after conducting the test program, three Black Hawk helicopters equipped with these pilots should be delivered to Afghanistan by the end of 2019. Armed helicopters must come both to equip the Afghan Air Force itself and the special purpose wing of the Special Mission Wing (SMW) of the armed forces of Afghanistan. 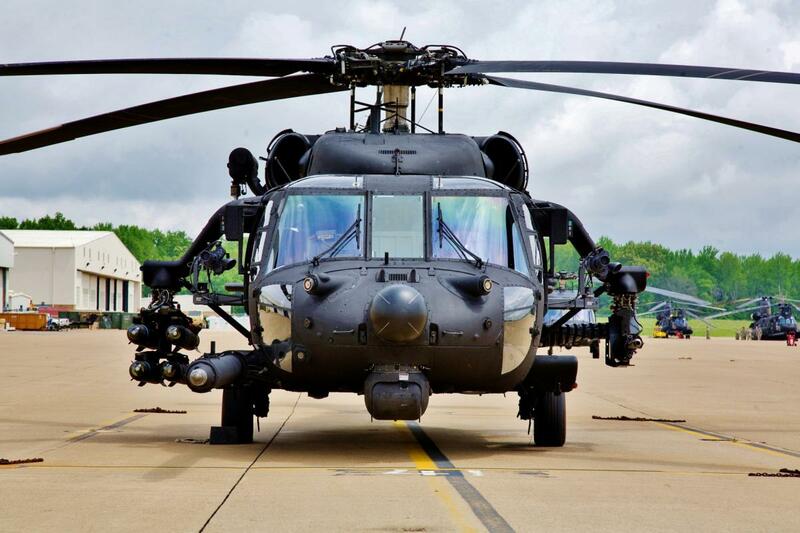 Since 2008, LASS pylon kits for armament suspension have been installed on Sikorsky MH-60L DAP (Direct Air Penetrator) helicopters of the 160th Special Forces Regiment of Army Aviation of the US Special Operations Forces Command. 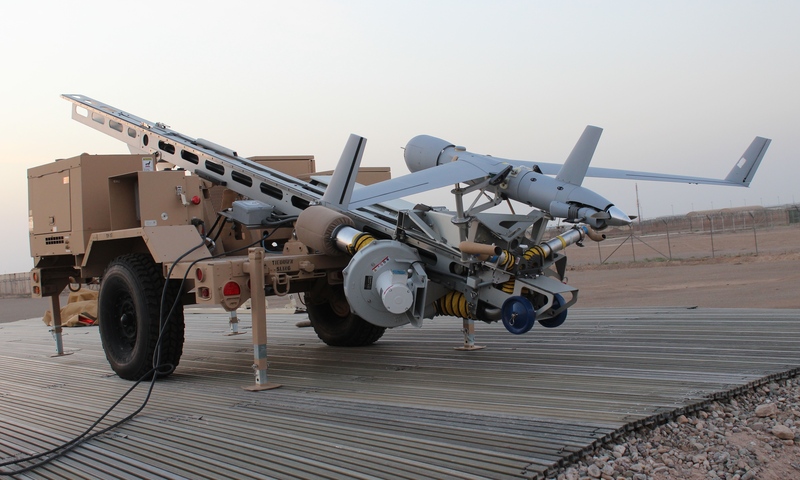 The LASS pylons can be used to mount AGM-114 Hellfire and AIM-92 Stinger guided missiles, 70-mm unguided aircraft rockets, 30-mm M230 automatic cannon, 12.7-mm machine guns, 7.62-mm six-barreled M134 Minigun machine guns, and outboard fuel tanks. In total, the US Department of Defense plans to deliver, as part of the Afghan Aviation Transition Plan (AATP) program, by 2024 Afghanistan at the expense of military aid 119 UH-60A + helicopters (and later another 40) with an average rate of two helicopters per month, of which 58 helicopters must be delivered in the armed version, designated UH-60FF, F which will be equipped with LASS pylons. The 1980s UH-60A helicopters of the 1980s are being transferred from the US Army Aviation to Afghanistan, which will be upgraded to the UH-60A + version, including, in particular, the installation of new more powerful engines and General Electric T700-GE-701C, which are used on helicopters versions UH-60L / M.
The supply of UH-60A + helicopters to the Afghan Air Force was launched in September 2017, to date 16 units have been delivered. The UH-60A + helicopters are designed to replace the Afghan Air Force and SMW with the Russian Mi-17 multi-purpose helicopters, which are currently operated by 80 vehicles (47 in the Afghanistan Air Force and 33 in the SMW). Now it is planned that by the end of 2022 only 12 Mi-17 helicopters will remain in the armed forces of Afghanistan.